Fine artisanship has been a lifelong passion for Curtis Bryant. Growing up on a farm in western Iowa, Curtis taught himself to grind fine lenses for telescopes in the basement of his family’s farmhouse. This skill won him top prizes at international science fairs, including an opportunity to work at Sacramento Peak National Observatory making precision optics. Curtis’s passion for physics and astronomy brought him to Harvard University, where he took many courses in fine arts. One course taught by noted Chinese art scholar Max Loehr introduced him to the identification and and connoisseurship of fine art objects. While at Harvard, Curtis spent countless hours at the Museum of Fine Arts Boston where he was introduced to the world of fine string instruments and their restoration. 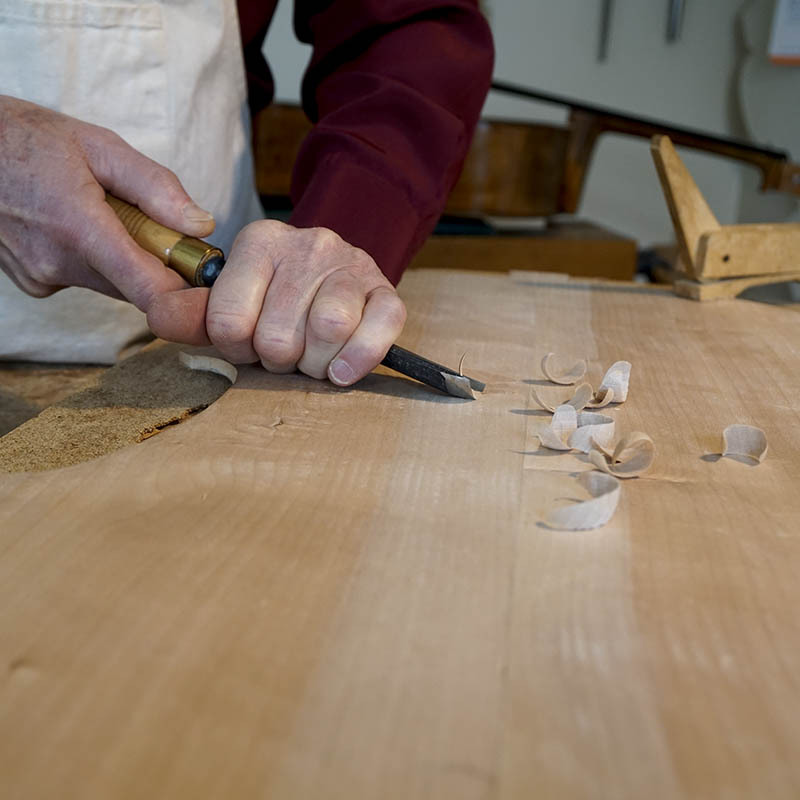 Under the tutelage of Don Warnock Curt built his first viola da gamba. However his real passion was for the cello. 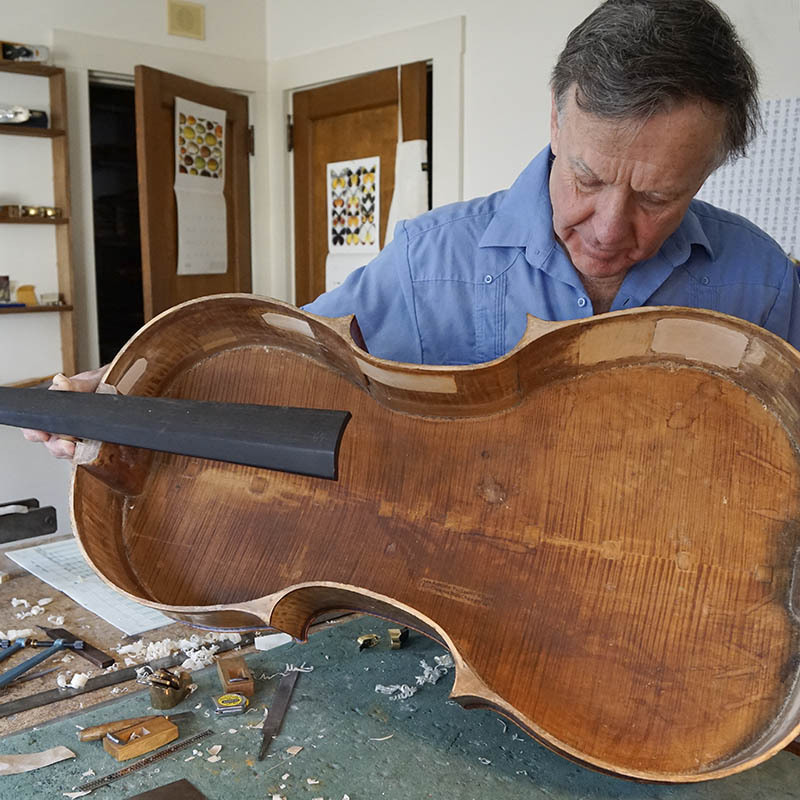 In 1978, with Dario D’Attili as a mentor, Curtis began a career as a cello restorer and maker. Cellos made by Curtis Bryant have been played in such venues as the Boston Symphony Orchestra and the New York Philharmonic. They are played by soloists, competition winners, chamber musicians and music students. Thirty-eight years after its completion, Curtis’s first cello is still in use. It was loaned to Nathaniel Taylor* to play the Dvorak Cello Concerto with the Boston Conservatory Orchestra in Sanders Theater at Harvard. Major cello restorations include a Carlo Giuseppe Testore sold to the San Francisco Symphony and a Rafael and Antonio Gagliano played in “Duo Amie”. One research project spanning twenty years and in collaboration with world experts, resulted in identifying a cello in Curtis’s collection as the only known cello by the 18th century Cremonese maker Zosimo Bergonzi. 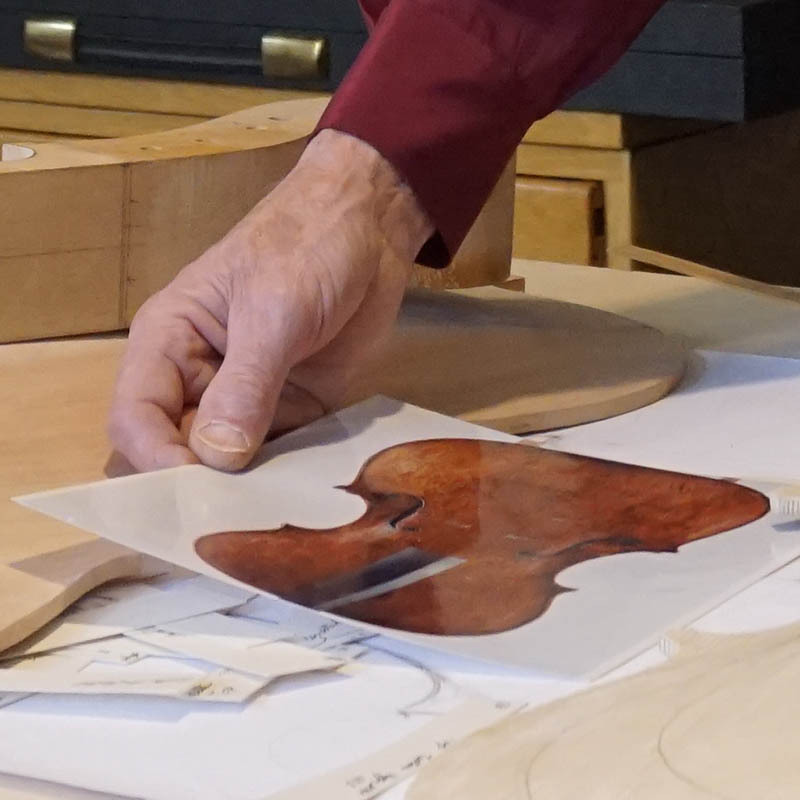 Working four decades building and restoring fine cellos has given Curtis the opportunity to acquire a collection of fine cellos which are now offered for sale to musicians. The studio is located just outside of Boston, MA. Curtis is currently compiling photographs and information for a book about the evolution of small body cellos in 18th century Italy. *In addition to loaning cellos to young artists, Curtis supports Lyra Music and Duo Amie, among other musical charities.